Tag Archives for " Do Leadership "
5	Is it Possible to Eliminate the Need to Sell? If the idea of leveraging your expertise to skyrocket your position in your industry while also virtually eliminating the need to sell ever again – all without spending big money – sounds appealing to you, then you need to read on. About six months ago I launched an initiative to help members of the Duct Tape Marketing Consultant Network write and promote books they have written – this initiative is called Duct Tape Publishing and today I get to announce the launch of a new book written collaboratively by four Duct Tape Marketing Consultants. 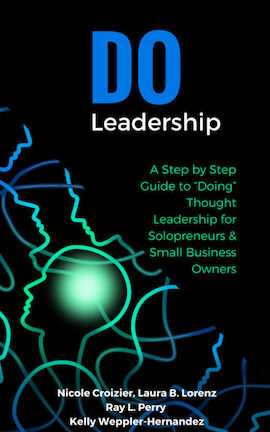 The book is call Do Leadership: A Step by Step Guide to Doing Thought Leadership. Thought leadership is such an abused term these days, but it’s certainly the goal of many a “so-called” leader. In Do Leadership, you’ll get the exact roadmap for putting the idea of thought leadership into action in your business, career or life. This practical guide is specifically written for Solopreneurs and Small Business Owners. You can read all about it at Duct Tape Publishing. Act fast and you can also grab a collection of book bonuses including templates and forms for putting the book’s lessons into action and a copy of another book written by a group of Duct Tape Consultants called Renewable Referrals. Everyone is a thought leader today, right? Or at least it seems that is one of the primary aspirations around building a brand – to be seen as a thought leader in your industry. But as most anyone who is seen as a thought leader will tell you, it’s not about appointing yourself as such, it’s about doing the things day in and day out that lead people to apply the thought leader tag to someone – again, the key word being doing! My guests for this week’s episode of the Duct Tape Marketing Podcast are Marketing Consultants, Duct Tape Marketing Certified Consultants and two of the four co-authors of the upcoming book Do Leadership: A Step by Step Guide to Doing Thought Leadership. We discuss how creating unique and relevant content can make you a thought leader, helping you to stand out from your competition. As founders of their own independent consulting businesses, Nicole Croizier and Kelly Weppler-Hernandez both live and breathe marketing daily. Is the thought of “am I going to stand out” nearly impossible today? What are the business tangible benefits of thought leadership? Where do people get ‘bogged down’ in this process? Why thought leadership is important for small business owners. How to leverage evergreen content to make yourself unique and relevant. The three essential steps to building a thought leadership system. Learn more about Nicole Croizier and Kelly Weppler-Hernandez. 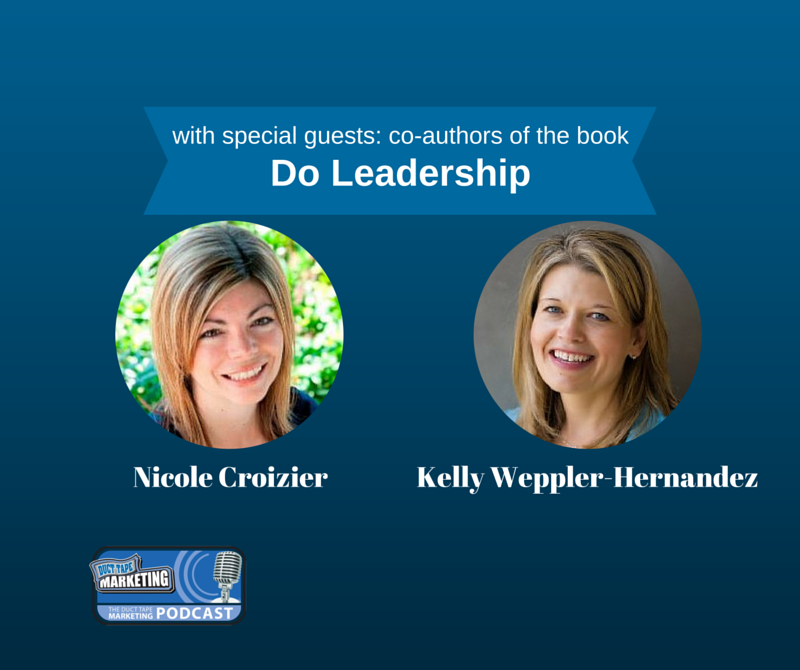 Click here to find out more about their upcoming book Do Leadership: A Step by Step Guide to Doing Thought Leadership. For a very limited time, the authors are offering our readers exclusive bonus material. Take advantage of guides, templates and worksheets that will have you on the road to becoming the next big thought leader in your industry. These free tools will only be available for a short time, so check them out today. Interested in joining Nicole and Kelly as a Duct Tape Marketing Certified Consultant? Find out more about the Duct Tape Marketing Consultant Network and attend a Discovery Call here.